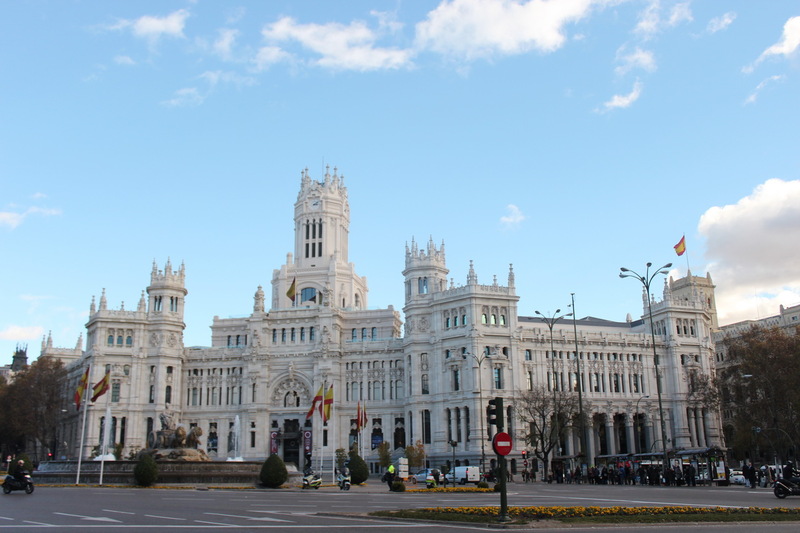 Mr. Selfish and I thoroughly enjoyed Madrid so we didn’t really want to leave the city. 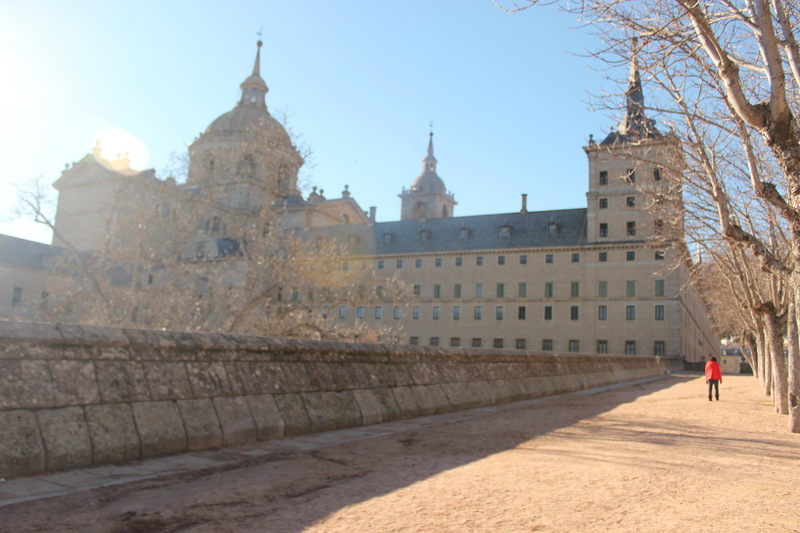 However, when we received a recommendation from some locals for a day trip to El Escorial, we couldn’t resist. 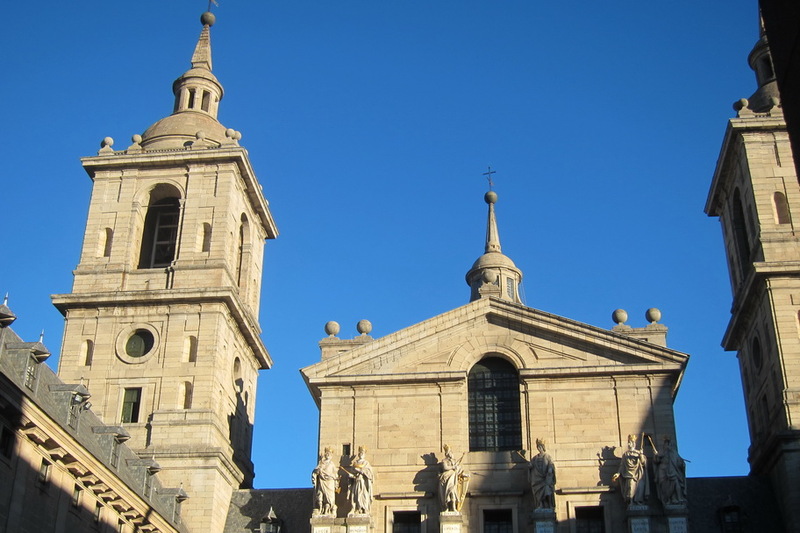 El Escorial is about 30 miles northwest of Madrid and takes about an hour to get there by bus. 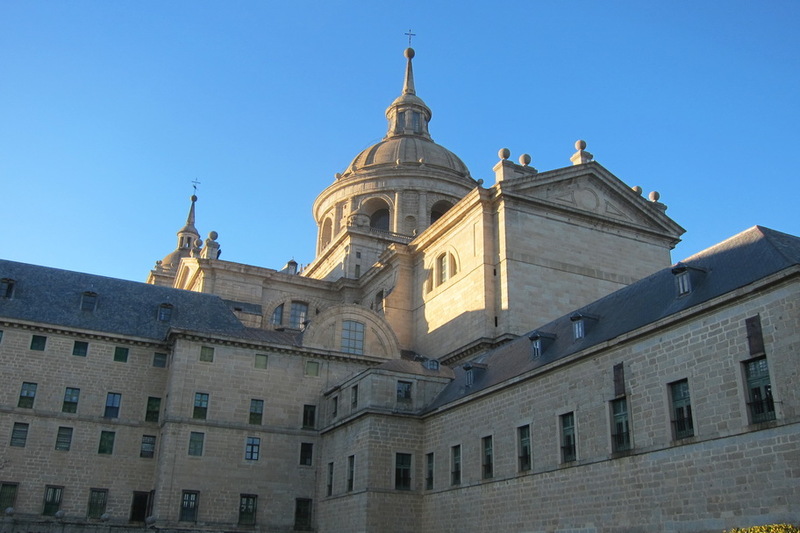 It was the royal residence for Spanish royalty and also has also functioned as a monastery, museum, and school. 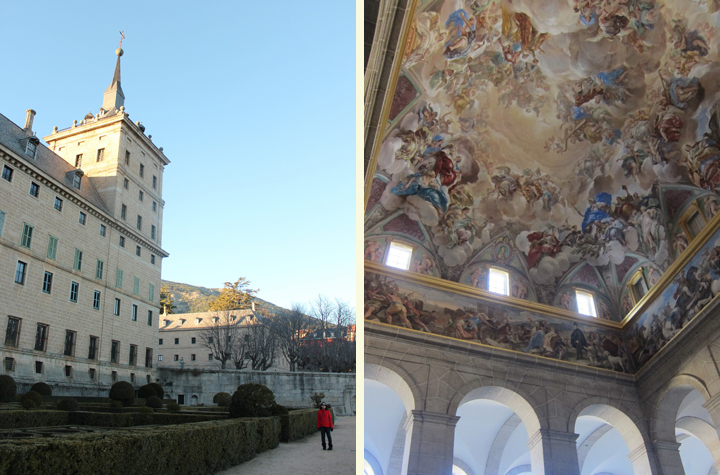 The outside of El Escorial is pretty epic. 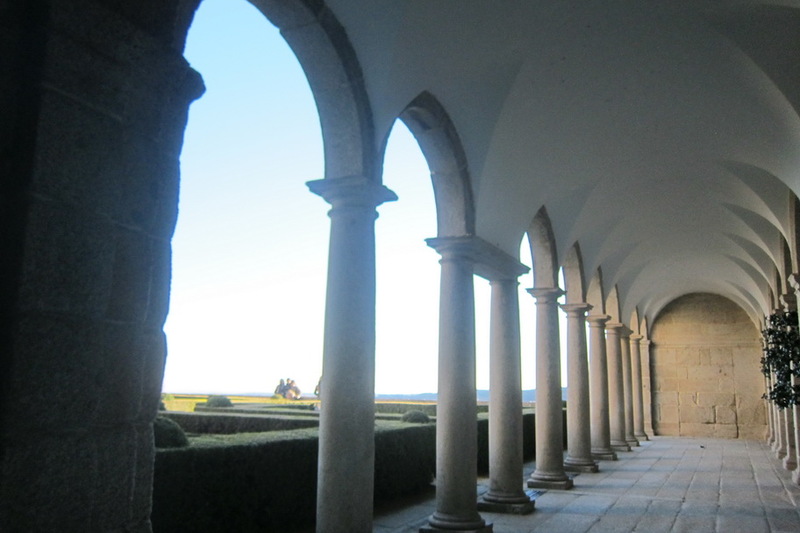 It was nice just to walk around and admire the majesty of the building. 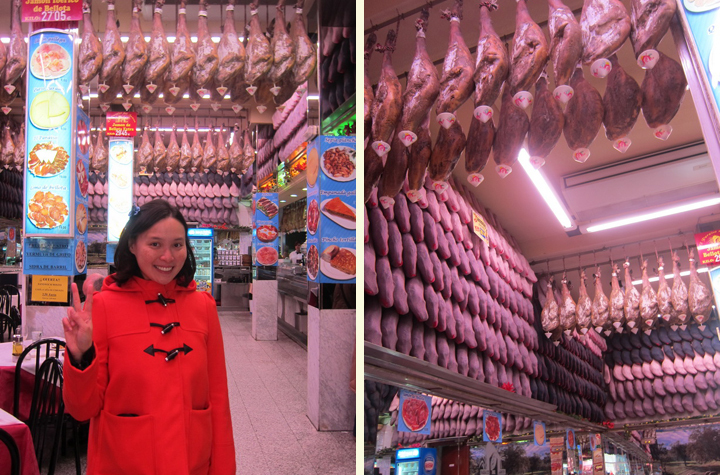 Madrid was a Paradise of Ham! Mr. Selfish and I rented an apartment for a week in Madrid. 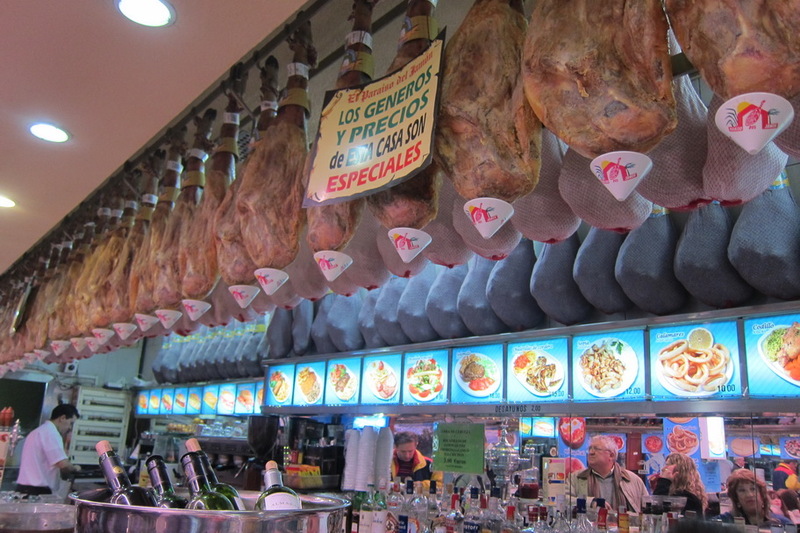 Although we enjoyed cooking and eating our meals in, we couldn’t resist a few meals out since Madrid had so much to offer. 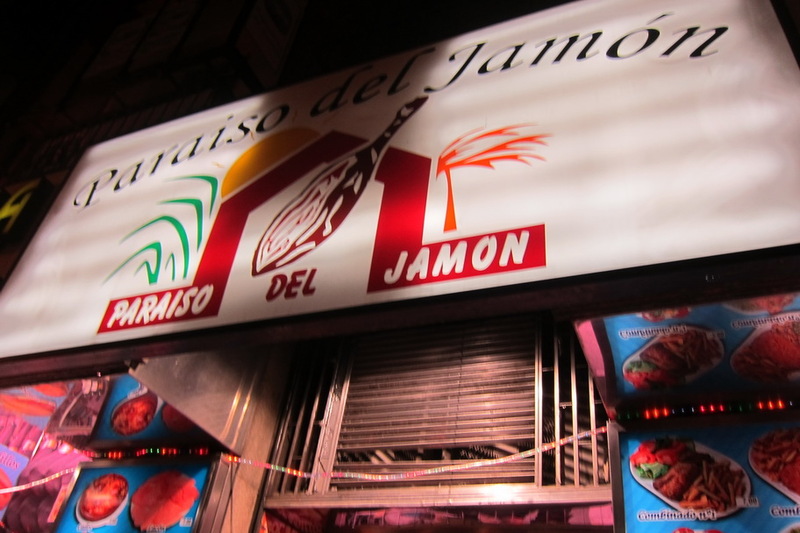 We discovered our favorite restaurant in Madrid by happen chance. We didn’t discover it through researching at Trip Advisor, Yelp, Chowhound, or any other website. We had walked by it a couple of times and decided to try it out. It was cheap and delicious. 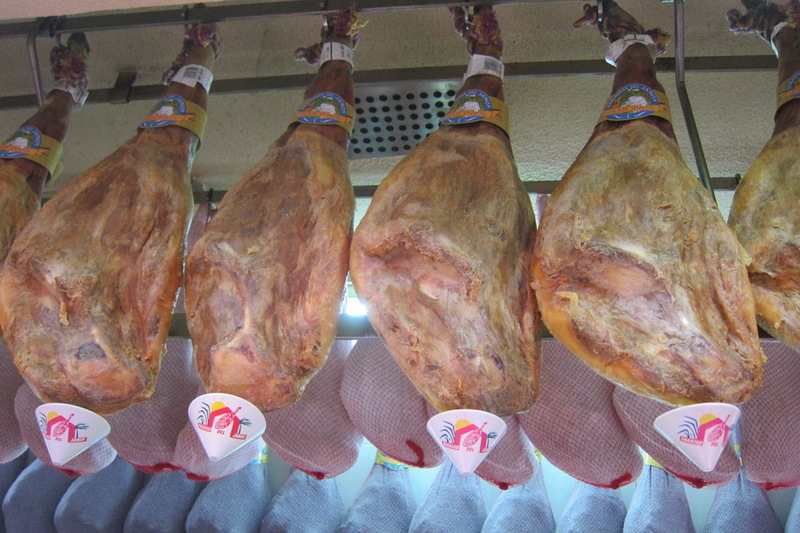 It was indeed the Paraiso del Jamon (Paradise of Ham). 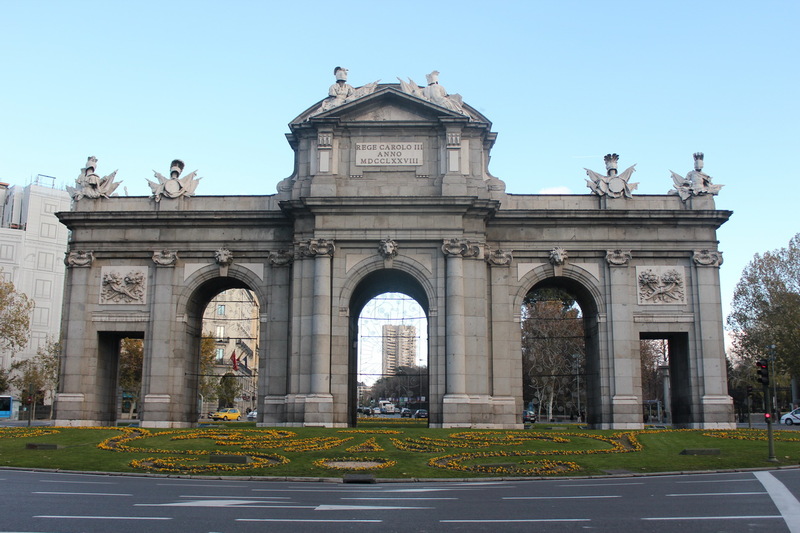 On our way to the Parque del Retiro, Mr. Selfish and I walked past the Palacio de Comunicaciones, which is the old post office, and the iconic Puerta de Alcalá, which is a monumental gate to the city. 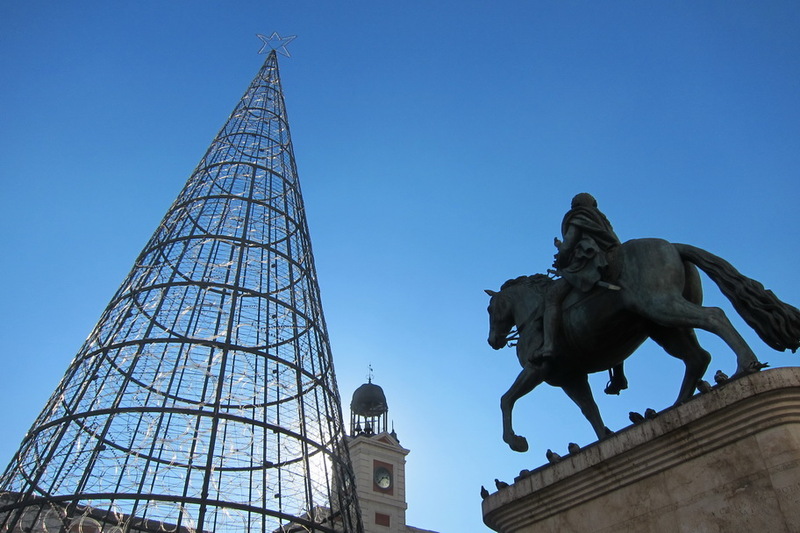 Mr. Selfish and I took a self-guided walking tour of historic Madrid. Luckily for us, it was a lovely but brisk day. 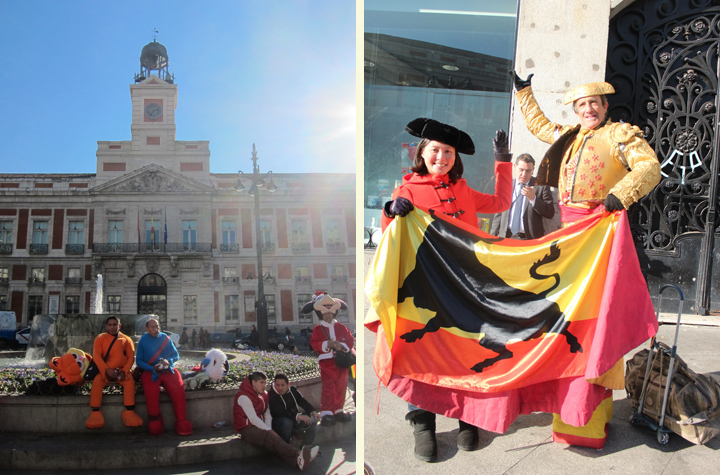 We started at the Plaza de la Puerta del Sol, which was full of photo ops. Men dressed in children’s mascots were all waiting around for you to take a photo with them. I opted for the matador.